"Affordable WebServices for a Competitive Online Presence"
BeeCeeWebServices maintains and supports your WebBusiness as an ongoing venture, ready to evolve and grow. BeeCeeWebServices work hard to create a professional Website that is easy to navigate, fast loading and search engine friendly. A crucial component in effectively communicating your advertising or marketing message is copywriting. Your pitch should very quickly engage then continue to draw your reader into 'your story'. Short, sharp copy works. BeeCeeWebServices provide, as part of the service, a copywriter available to assist when blending your website together. Our mission is to create copy that best expresses your message in a competitive marketplace. A stunning design will stimulate a lasting first impression, so crucial in assuring a business shines in the marketplace. BeeCeeWebServices offer a design service that resonates and delights with quality design images to engage and inspire potential customers. 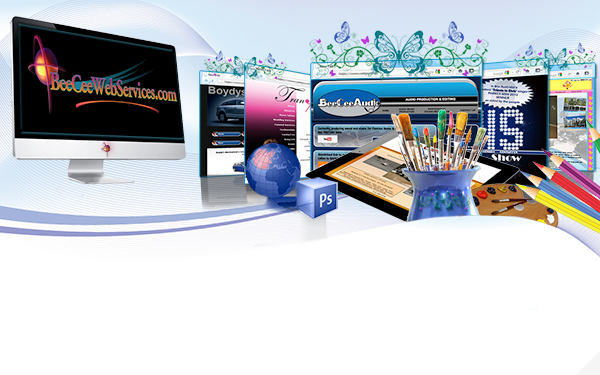 Please peruse some of our quality creations and remember BeeCeeWebServices design service is both artistic and cost effective.